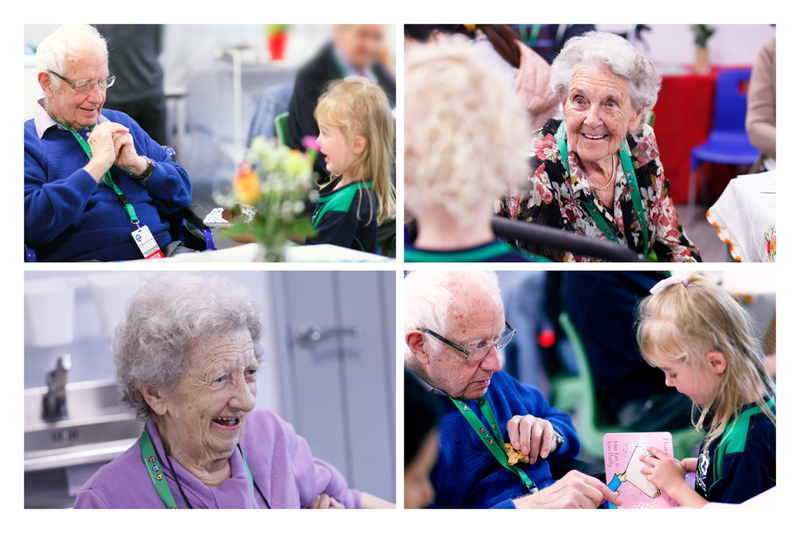 Recently our Woking care home residents and day care clients were excited to receive a very special invite from the pupils at ISL Surrey Primary School to visit their class for afternoon tea and entertainment. After a short mini bus trip, Bernard Sunley residents and Triangle Woking Day Care clients arrived at the school as the children were on their morning break. As they made their way to the classroom where the event was being held, many of the children waved and smiled at them – much to their delight! The classroom was beautifully decorated with flowers on the tables and the children performed a variety of songs, led by their music teacher on guitar. Everyone enjoyed delicious chocolate cake baked by the children, with coffee and a selection of biscuits. 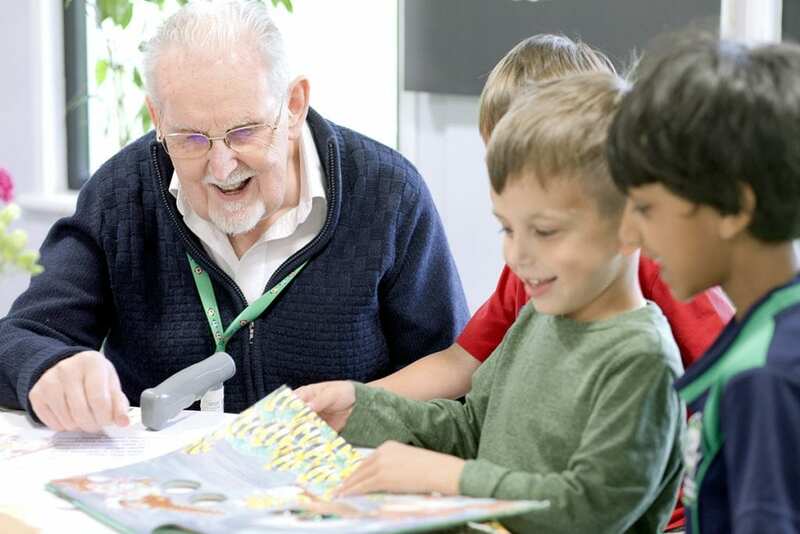 The children also took the time to read their favourite books to the residents and clients, who enjoyed listening to the stories. It was a wonderful afternoon and a chance for the care home residents and day care clients to visit ISL Surrey Primary School, as the children usually visit them. Everyone had a wonderful time with the children, who did an excellent job of hosting the tea party. It was also a unique opportunity for the two local services to join together and enjoy activities within the local community. Thank you to ISL Surrey Primary School and their teachers! To find out more about Bernard Sunley click here. To find out more about Triangle Day Care Woking click here.